News today that United Airlines plans to get a competitive jump over Hawaiian Airlines with new flights to Hawaii that start this year. Their announcement is strategically positioned prior to Hawaiian Airlines’ 2018 service expansion. This brings the number of United Airlines’ Hawaii flights to 40 each day. United will again offer the most service to Hawaii, and has flown to the islands since 1947. 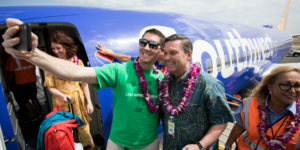 In a press release entitled “Aloha to More Hawaii” earlier today, the company announced a significant increase in flights from California, Denver and Chicago. “This combination of increased and enhanced service by United Airlines is fantastic news for Hawaii’s tourism industry, especially with the number of direct flights being added to Maui, Kauai and island of Hawaii.” –George D. Szigeti, President and CEO of the Hawaii Tourism Authority. 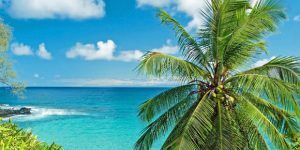 Beat of Hawaii: This is great news for competition on Hawaii flights which will result in significant downward pressure on pricing for the foreseeable future. Beat of Hawaii expects Hawaiian Airlines to announce new flights that may include both Denver and Chicago in the not distant future. Hawaiian Airlines will likely offer lie flat premium seating from Chicago (A330 aircraft), but not from Denver (A321 aircraft). In order not be be outdone, United announced 180 degree lie flat seating in premium on all direct Hawaii flights other than those from California. United Airlines Hawaii flight changes. Starting December 20, United will increase service from Chicago, Denver, Los Angeles and San Francisco to Hawaii. 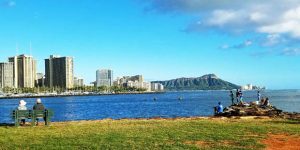 The airline will continue operating its daily nonstop service to Honolulu from all seven domestic hubs in Chicago, Denver, Houston, Los Angeles, New York/Newark, San Francisco, Washington, D.C., plus Guam and Tokyo. “As we celebrate our 70th anniversary in Hawaii this year, today’s announcement carries a very special significance for our customers…. Our customers have asked for more ways to get to Hawaii, and by adding these flights we are thrilled to make Hawaii more accessible than ever for our customers travelling from the Midwest, Rocky Mountain and West Coast regions.” — Jake Cefolia, United’s Sales VP. Starting December 20, seasonal flights from Denver to Kona, Lihue and Maui will increase to daily year-round service. The airline will continue its year-round daily service from Denver to Honolulu. United will continue daily service to Honolulu and will increase service to Maui to five times per week beginning December 20. United will continue to operate five times daily service to Honolulu, and will increase service between LAX and Hilo, Kona, Maui and Lihue beginning December 20. Hilo service will be daily, Kona and Lihue will be twice daily, and Maui will be three times daily. United will continue to operate five times daily service to Honolulu, and will also now operate five times daily to Maui. Kona will increase to three times daily, and Lihue will increase to twice daily. Effective December 20. My husband and I are traveling from Newark to Hawaii in November. Plan to fly into Maui and then go to Kailua and fly home from there. First time to Hawaii. What flight pricing should we expect? I am not familiar with this route. Thank you. Assuming you mean first two weeks of November, then prices should start in $600’s RT with Honolulu nonstop up to $200 more. Currently $867 on United for nonstop in first half of November and that may not improve if that’s what you are looking for. I’m planning on booking from Oakland to Honolulu for Nov 2018 Thurs-Mon, when is a good time to book and what airline? Don’t know if Southwest will be flying by then. Doubtful. So Alaska or Hawaiian. Book from mid summer. If however you are traveling 3rd/4th week of month, then entirely different, book now. We see $394 RT as of today during April and May on American with good connection. Great price. I’m planning to book a one-way ticket from San Francisco to Honolulu on June 11 or 12, 2018. I’m wondering if I should purchase the $335 ticket now from United Airlines, or if I should wait until next month to make the purchase, in hopes of a lower rate. 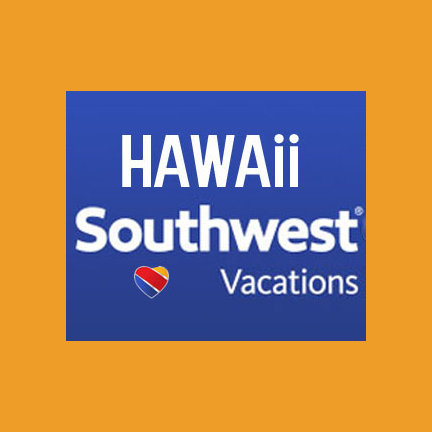 Do you anticipate that after SWA announces its flights to Hawaii, I will find a significantly cheaper one-way flight to Hawaii for mid-June? Is there a chance the price may go up if I wait another month to purchase? Or is $335 a pretty good value already, and I should just book now? Thank you for any advice you can give! $330 today. We don’t expect Southwest by June – maybe by end of year. Price is quite good. Some chance of improvement and not likely to go higher. Your non-weekend dates help. Perhaps try waiting a bit. I am planning a Hawaii trip for my wife and myself for first of November. Which airline should I be looking at, and what kind of price do you think tickets will be out of PDX? Probably either Kauai or big island, when should I buy tickets? You guys are great for all your help, thank you. If you could please help. Happy to help. No rush for your dates and route. First, best to wait and see if new routes are announced. That is likely. If no new routes, wait anyway until mid summer or so. You’ll likely be pleasantly surprised. Which airline provides the cheapest rates from denver to honolulu flights? 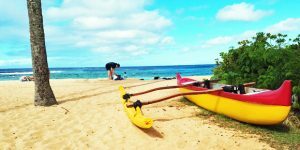 When is the best time to book flights from Denver to Maui for June 2, 2018? Was wondering if anyone knows if there will ever be service to Hawaii from Burbank. I know that Aloha used to fly out of BUR, but obviously no longer…Is there any chatter about Delta or Southwest starting service from BUR? That would rock my world as LAX is a major cluster#($*@. We do not expect anyone to provide service to Hawaii from Burbank. Sorry. I was wondering what would be the best airline to fly from San Antonio, TX to Honolulu. We are taking a Hawaiian cruise in August 2018. American Airlines looks to be the best bet. There are $729 RT airfares which is a great price. I need to book air from OGG to BOS May 5, 2018. Any suggestion on how long to wait before booking? I am seeing flights running $412+. Thanks for any advice! Best off season fares in that market are generally low $700’s RT. Right now that is priced in mid-$700’s which isn’t bad. So either waiting or booking – bird in hand or one in the bush. Since you can only book 330 days out, much of May isn’t available yet. I can’t wait until Southwest starts flights to Hawaii. They have great prices and excellent customer service. Hawaiian Airlines is the only way to fly to Hawaii. A great airline! Yep I agree. Your on vacation as soon as you are onboard. I totally disagree! I had Hawaiian Miles but they refused to allow me to use a combination of miles and dollars as do Southwest and Delta. I needed a group rate for 9 tickets and they said I needed ten. But the worst of all….Hawaiian only allows 7 reservations to be made at one time and I had 9. I got 6 tickets, pushed confirm for the price and went immediately back to reserve the next 3 tickets. In that two minutes, the price went up $90 per ticket, so I had to pay $270 more dollars in two minutes time. I contacted customer service and they more or less told me “too bad.” Not even the manager would do anything to help with the price. I think they have horrible policies and customer service. They ended up offering me $200.00 per ticket, by the name on the ticket and made the ending date be during school time (for grandchildren) within ten months of the travel I paid for. Not even useable. My kids can’t afford the tickets for themselves and their kids and why would they even consider going less than a year after the trip I’m paying for? I agree with the last comment. My belief is United sales decreased due to all this publicly on people being dragged off the plane for not giving up seats they paid for. I will stick with Alaska airlines. You too can fly on United and make your 15 minutes of fame when they drag you off the plane for refusing to give up the seat you paid good money for. No thank you. I will fly Hawaiian. I won’t fly United Airlines either. Hawaiian Airlines has my business period!!! Most folks are going to fly the airline with the lowest price save for the frequent flier types. United has been through much worse than the passenger incident. However, United has reduced over bookings and increased compensation for giving up one’s seat. Live and learn and do better!